The Fire Mystic was one of theFoot Mystics, who are loyal to the Tengu Shredder in the 2003 TV series. He was voiced bySean Schemmel. He first appeared in the episode Return to New York, Part 2. 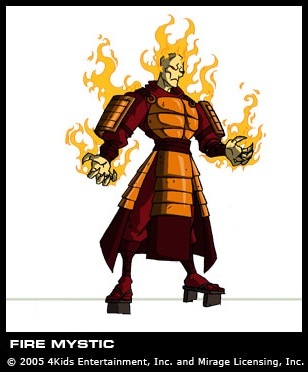 He can create large flames and fireballs that packs burning touch and explosive power. 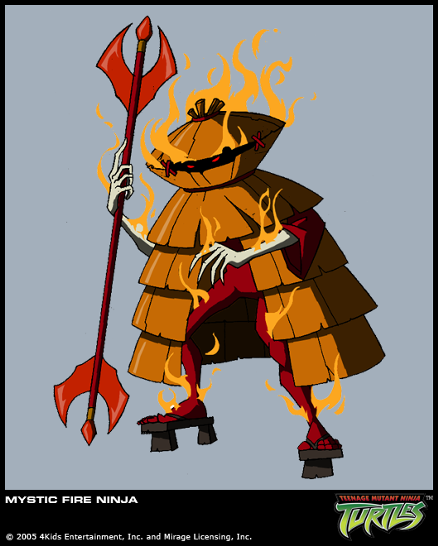 The Fire Mystic also appears in the 2003 video game, and the DS version ofTeenage Mutant Ninja Turtles 3: Mutant Nightmare. Two Fire Mystics serve as the third boss inTeenage Mutant Ninja Turtles: Battle for the City. Though they wear gear similar to the Metal Mystic, they shoot fire from their weapons. He was the only Foot Mystic to have an action figure.